Are you moving to Florida? Looking to save some money by searching for moving and storage companies in Miami? Moving is too often a complicated process, that can get even harder if you do not do it right. There are just way too many things to balance around for one person to handle properly. You simply need to give more attention to some chores and let professional movers do the rest. But then, one can ask how do you find good local movers Florida? Well, for starters, you can simply turn to Orange Movers Miami and our top-quality moving & storage services. Talk about local movers Florida with the people you know and trust. Read the many positive reviews the Orange Movers Miami have from past clients. Screen each company with trusted websites. Even though you might be tempted to go the easy way and just search for information online, you should not underestimate the valuable information your friends can give you. They are the people you should talk to first. You know them and you know you can trust them. They can also give you thorough information about their experience. The people you can trust are your best resource. All you need to do is ask around. Maybe they were moving locally recently, or maybe they know someone who did. They will be able to tell you all about the move. If they moved with a smaller company that doesn’t have too many advertisements, they can recommend it to you. Also, they can warn you about some hidden fees or unpleasant surprises they had with a big moving company. You never really know what you can learn until you ask them for advice. And if you were so inclined as to ask anyone about Orange Movers, they would all warmly advise that you rely on us. Another great resource you have in locating local movers in Miami is the online review websites. There are many websites which offer reviews, but you should make sure they have credibility. The websites such as Moving.com are a great way to find out more about any moving company. First, keep in mind that people generally leave either a great or a bad review. However, pay attention if a company has a couple of bad reviews. Note what is the biggest problem and if there is a trend happening in all of these. If that’s the case, see whether the company has tried to fix the issue or not. It is one of the biggest tells of how each company deals with their client’s needs. Reviews and feedback are important. Also, you should also pay attention to the companies with only good reviews. Keep in mind that these can sometimes be manufactures. As veterans in the moving industry, we assure you that it is perfectly normal for a company that has dealt with hundreds of moves has a few unsuccessful ones. Every company has that, including us. This is why you need to be open-minded, but also careful when looking into online reviews. Another great tool you can use is the federal websites that give you detailed information about any moving company. For example, you can use the Federal Motor Carrier Safety Association website to check the company’s information using its U.S. DOT (Department of Transportation) number. You can get this number from a company representative, and it’s a type of an ID number of a moving company. Make sure you find out how long a company has been doing business, its address and all of its names. If a moving company keeps changing its address and the name, that should raise a red flag for you. Ask yourself why a company would need to do this. In general, companies that have been active for a couple of years and have positive reviews are the companies you can trust. And Orange Movers Miami has been here for over a decade now. Another important thing, that ties into getting the U.S. DOT number, but it also worth mentioning, is the license and insurance of a moving company. You should always move with a company that has a license to move. When it’s interstate, they need to have a U.S. DOT number. For Florida, apart from a U.S. DOT number, movers need to have an IM number. You can ask for both of these and screen a company using them. You need to make sure your items are safe. Obviously, you should not move with a company that has no license. Everyone can rent a truck and call themselves a mover, but then you are exposing yourself to the risk of your items getting stolen or damaged. You might want to reduce local moving cost – but registered companies are professionals for a reason. You also need to check what insurance policy the moving company you are looking into offers. Reliable local movers Florida will offer good policies that will protect your items if something goes amiss. This is why screening the moving company thoroughly is very important. 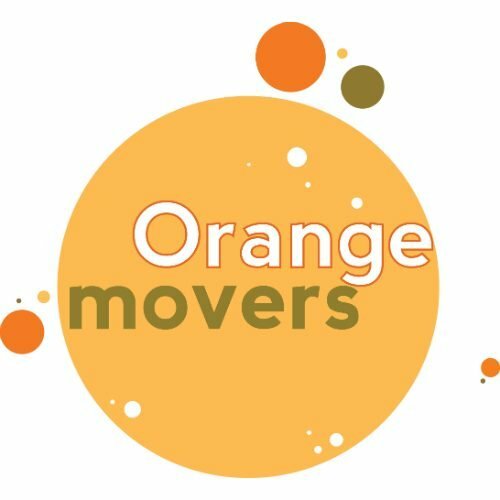 Why hire local experts from Orange Movers Miami? There are a lot of measures you can take to see if our local movers Florida are reliable enough for you. You can talk to your friends about their experiences, read online reviews, and find all the information you need on our website. We are a Florida moving company that matches you well and will suit all your relocation needs. No matter what moving services Florida you need are, rest assured that we are here to offer the best of the best, at some of the most affordable quotes in the Sunshine State. Moving close by doesn’t mean that you don’t deserve our full attention or that it is less stressful. We have a full range of localized relocation packages to take care of even the minor details if you are moving within a 100-mile radius. South Florida has its issues, traffic, road restrictions, tolls and other road hazards. Sometimes just driving a truck even just a short ride can be a challenge. You don’t need to worry about this. All you need to worry about is getting your family to your new home. Our relocation experts will deal with everything else. Congratulations on your new offices! You have probably worked really hard to get to this stage. We can get you settled in your new offices quickly and easily, so you can get back into things ASAP. We do it all, whether your company is an office, Corporate HQ, laboratory, library or warehouse we will get you settled in no time. Pianos or Pool tables can be very complicated to move even if just a short distance and what about art or wine collections? Call us today to discuss your special concerns and we will use our exceptional skills to custom fit your needs, even if you are just moving down the road. We will make sure that everything arrives safe and sound. We are one of the leading moving and storage companies in South Florida. Our reputation precedes us. All our movers are extremely professional with years of experience and have the best equipment and knowledge to move almost anything safely and swiftly. We create lifelong customers and over 60% of our clientele are actually repeat and referral clients. In psychology it is known that moving home is one of the largest stress factors, even if you are moving just around the corner. Our specialized team will help you build a step by step plan that will help reduce the stress and make the entire process smooth and quick. We do home relocations as well as business relocations and we know how to get you the most for your dollar. With our renowned experience we will help make your move as stress free and simple as possible. With thousands of satisfied customers every year, we are considered one of the best local moving companies in Florida. Our team is highly trained to provide a professional and efficient service to all our clients. We specialize in local relocations, and take pride in making your move safe and fast. We can do your move at any time 24/7 since this is what we do best! We know how to handle the busy roads and traffic of South Florida, and we won’t be late, miscalculate or get lost. For local moves you want to work with the best! Whether you have been left in the lurch or let down just a few days before your move date by another company, we have the ability to accommodate you. Our last minute relocations are treated just like any other move. Just give us a call and one of our relocation consultants will contact you to create an affordable and strategic plan to suit your needs. We keep our trucks fully serviced, clean and well kept, in order to avoid breakdowns and delays. Your time is important to us as well. So, now that we have concluded that we are the best company to help you and your family or company make the local relocation, let’s see how much it costs… Check out our moving calculator and you’ll be surprised by how affordable our fantastic services actually are.